When we talk about beauty and summer, there is a key collection we cannot miss. 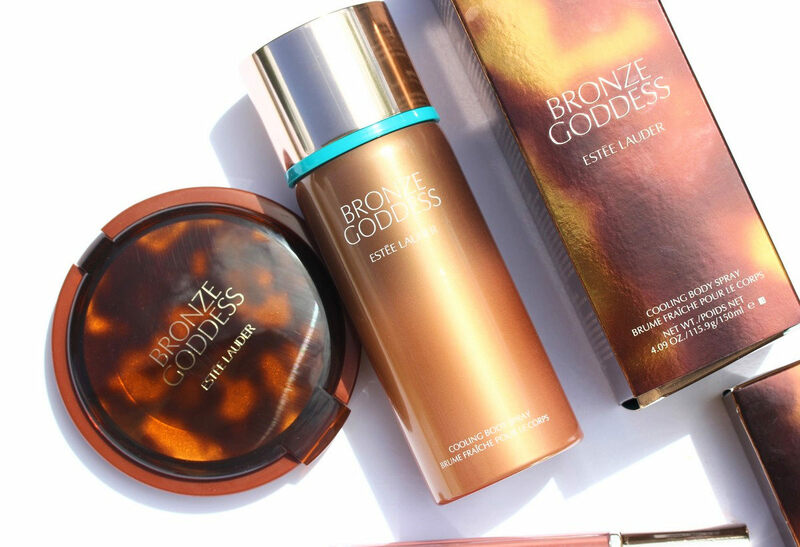 It's Estée Lauder Bronze Goddess. I think this is always one of the favorite summer collections for so many people. 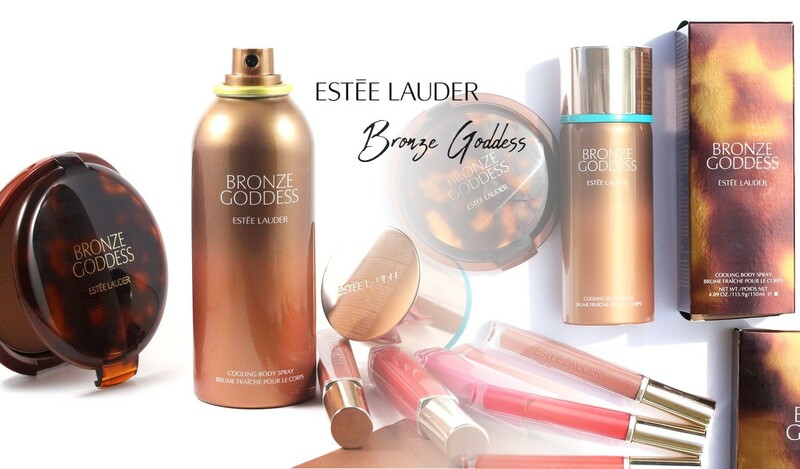 The 2018 collection comes up with a bronzer, palette, highlighter, lip balm and this year a hair spray, body gelée and body spray are also present along with the iconic Bronze Goddess fragrance. I got the Powder Bronzer and the Cooling Body Spray. The Powder Bronzer is as I said an iconic product. 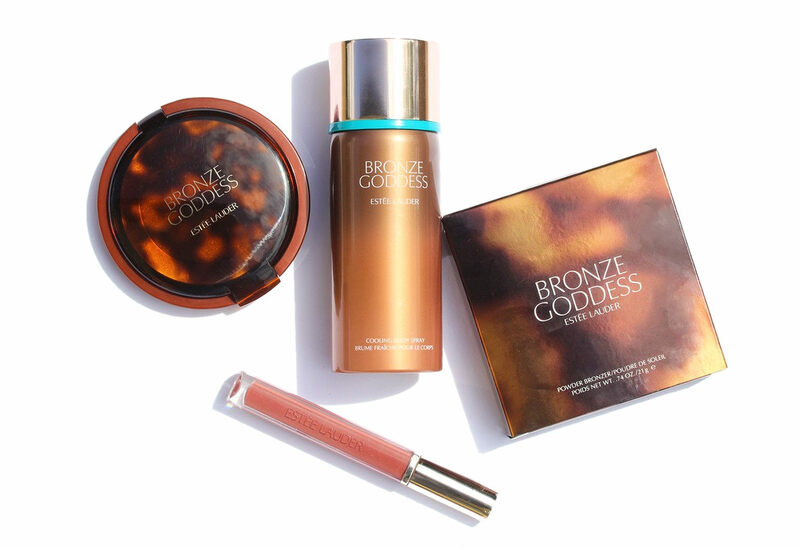 It's such a delicate and gorgeous natural bronzer. It has neutral undertones and therefore doesn't lean to yellow or red. 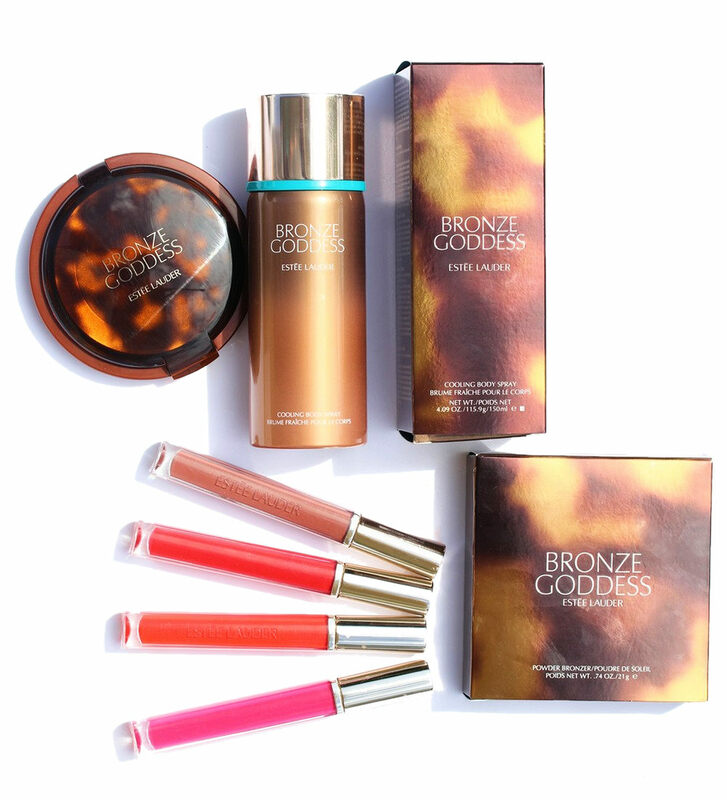 It's also infused with gold microshimmer. 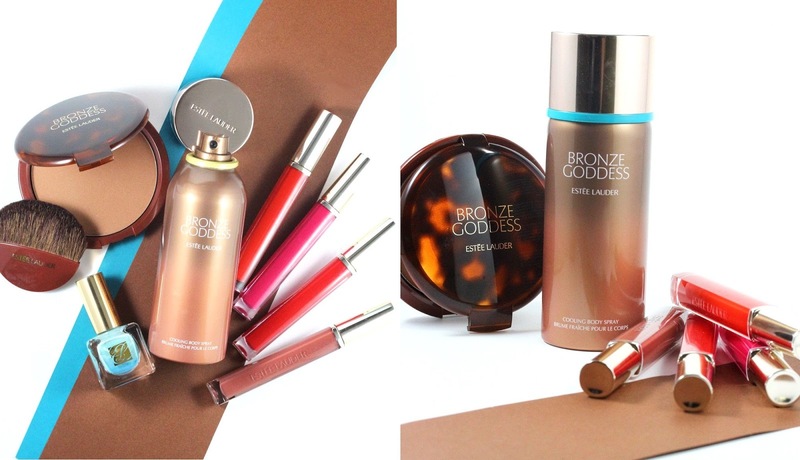 The shimmer is not really visible on the skin but gives a radiant and more luminous look. It's also super smooth and easy to apply. It never looks patchy or muddy. 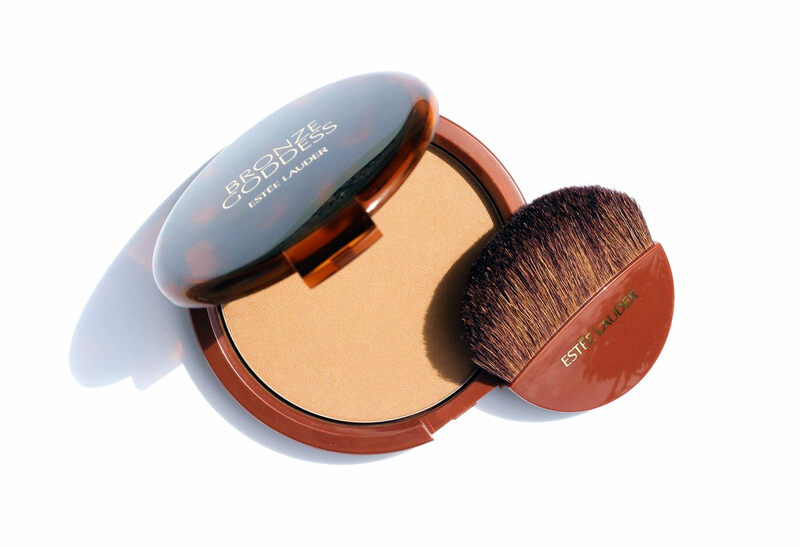 It's a really natural bronzer that gives you a healthy look. The Cooling Body Spray is something I didn't expect in this collection and that totally surprised me. When you spray it over your skin, it immediates provide a cooling sensation. It's perfect to cool and refresh the skin when it's too hot outside. Morever the scent is amazing, it's the same scent as Bronze Goddess Eau Fraîche fragrance. So you're into summer frangrances, this is a product I can highly recommend! I personally love it! 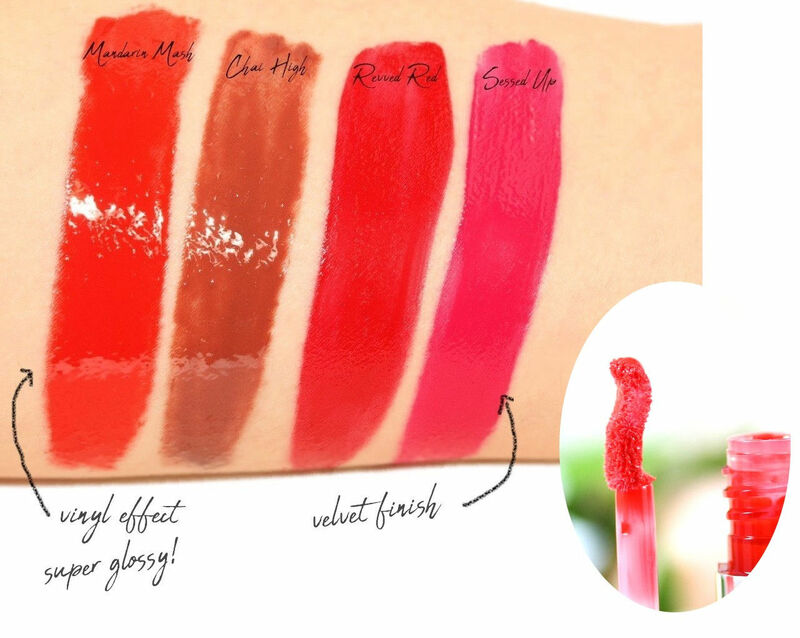 I also wanted to show you the Pure Color Love Liquid Lip. They come in a Matte, Sparkle or Shine finish. You can either use it on their own, layer them or even mix them. 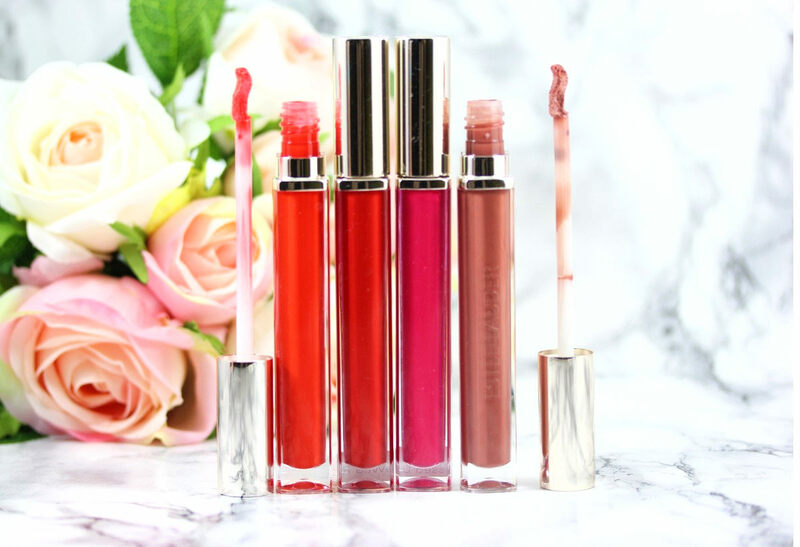 They're all formulated with a superfruit cocktail of Pomegranate, Mango and Açai oils to make the lips feel soft, smooth, and comfortable. I have 2 of the Matte and 2 of the Shine colors. 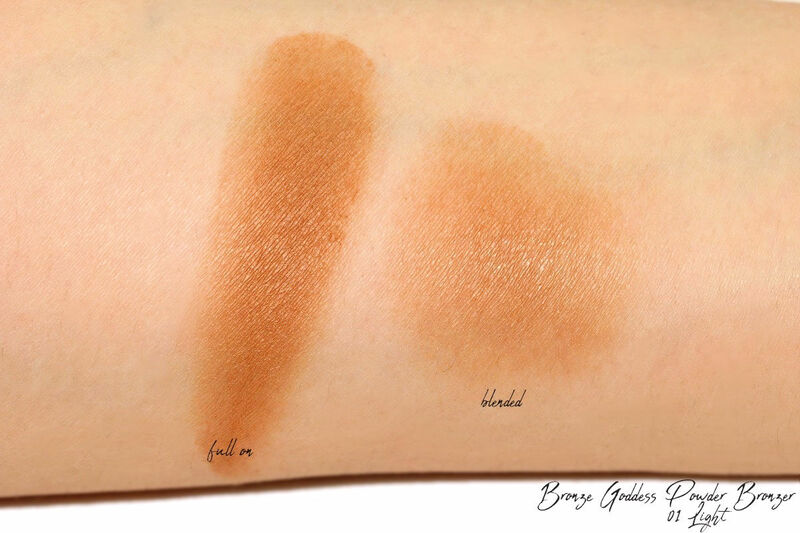 The Mattes have a velvety finish that feels creamy upon application. They don't completely dry down to a 100% transferproof formula but they don't transfer much. When I use them, I apply only a thin layer (I typically don't overload the applicator) because I think it looks softer this way. They last about 5 hours on the lips and always stay "creamy" and comfortable because the finish is not a true matte but more a velvety one. The Shine colors are super shiny! They have a true vinyl effect. 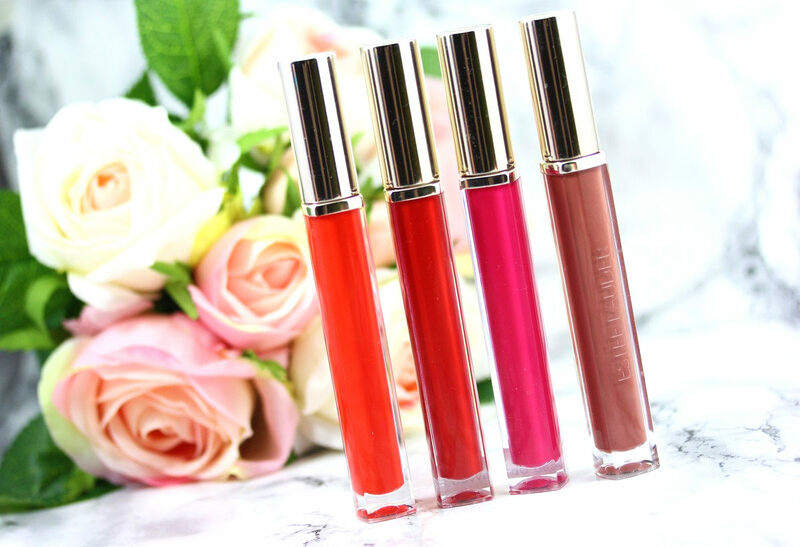 They're actually the most shiny and glossy lip products I've ever seen! To achieve this high gloss, vinyl effect, the texture is quite thick and a bit sticky. When I first applied it, I thought this would bother me but after a couple of minutes, the texture kind of set on the lips and don't move around. 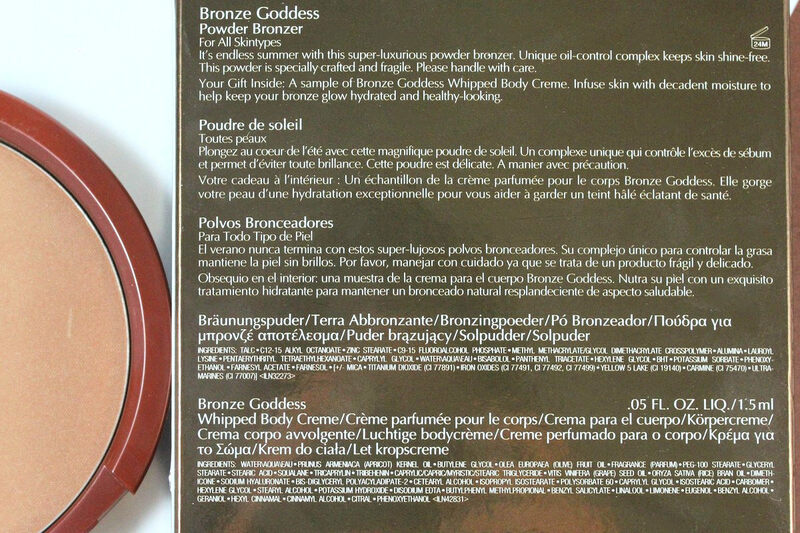 You can still feel the product on your lips though, I guess this is a compromise to get such a vinyl effect. I've used Chai High (medium brown) a few times to go to work (that's how I prefer to test a product, a real all day life :D ) and used it on top of Jeffree Star Leo (they're about the same color, but as they're already very pigmented you can use them on their own, too and don't need to layer them over something) and I really love the combo. The wear time was better than what I thought. It lasted until lunch, I reapplied after lunch and then it lasted until the end of the afternoon/evening. The shine lasts about 5h, which I think is pretty impressive! 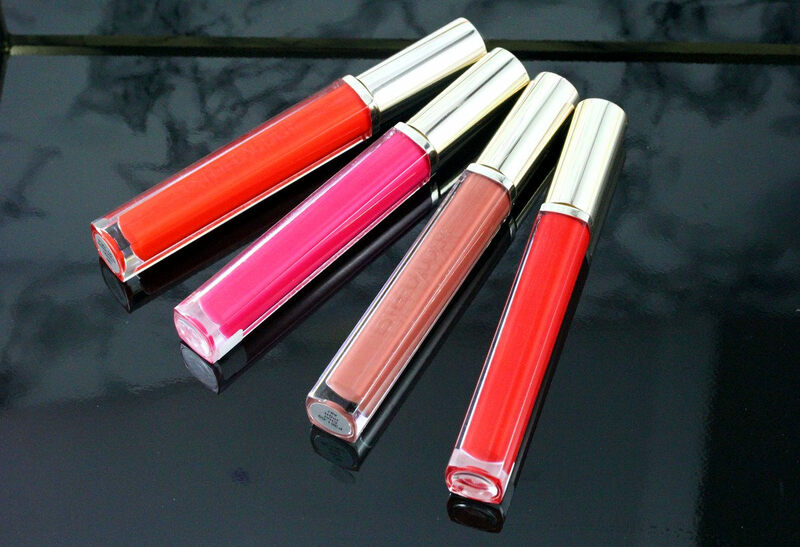 So if you want super glossy and highly pigmented colors, these are great. On the contrary if you don't like thicker, slightly sticky textures, these are not for you. Personally I like these Shine colors better than the mattes because I think these are totally unique and cool! They're SO SO SO glossy and shiny!! What's your favorite summer products? Do you have a cult product you use again and again each summer?